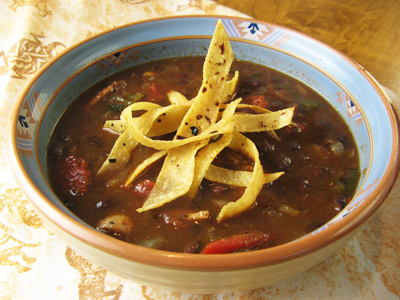 Black Bean Soup is a rare treat for me. You see, my husband doesn’t eat beans. I mean he doesn’t eat ANY beans of ANY kind, therefore I’ve gotten out of the habit of adding beans to our diet. He definitely did not grow up in NM where beans, chiles and tortillas are staple ingredients in every kitchen. It’s getting colder and I’ve been in the mood for a hearty soup. 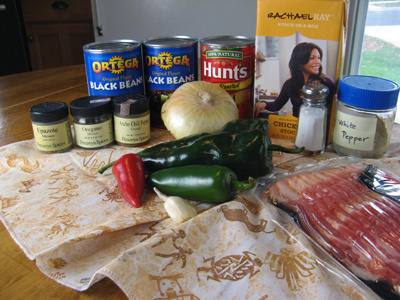 This recipe is definitely loaded with flavor with a variety of chiles, bacon, tomatoes, and seasonings. 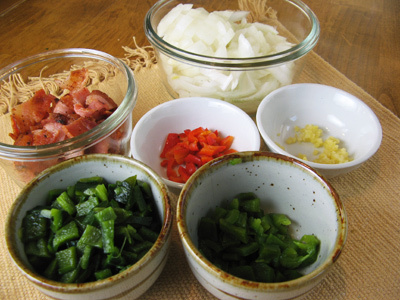 And of course I couldn’t go without my toppings. I couldn’t resist some crunchy corn tortilla strips with avocado slices and cilantro. It definitely warmed my soul and lifted my spirits on this cold dreary day. 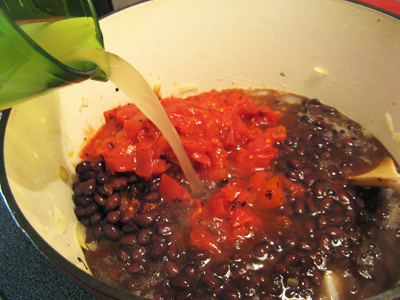 I gathered my ingredients which included 2 cans of black beans, a can of fire roasted tomatoes, some chicken stock, bacon, onion, garlic, a roasted poblano, jalapeno and fresno red pepper. 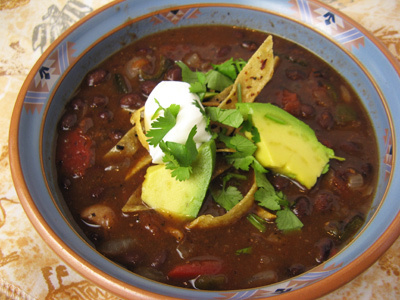 It’s seasoned with salt, white pepper, Epazote, Mexican oregano, and ancho chili powder. The chiles have been roasted, peeled, seeded and chopped. I cooked the bacon ahead of time and chopped it into bite size pieces. Onion and garlic are chopped and ready to go. I saved my leftover bacon grease and added a drizzle of olive oil to my dutch oven. Saute the onion over medium high heat until soft and translucent. Add the garlic and cook a minute more. 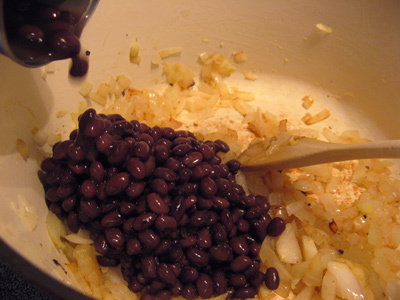 Time to add the beans. I drained the juice off the top but it’s not really necessary. 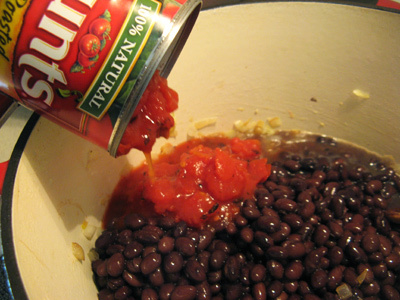 Next comes the can of tomatoes. And 1 cup of chicken stock. 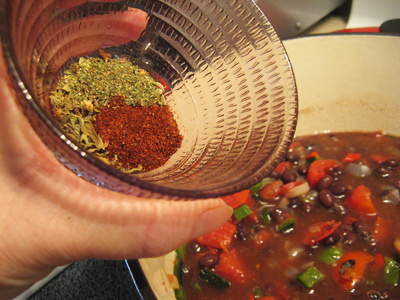 The spices are a teaspoon each of Epizote, Mexican oregano and Ancho chili powder. 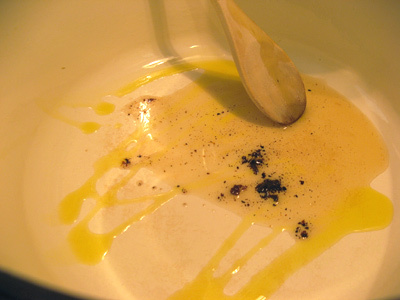 Afterwards, I added 1/4 teaspoon white pepper and salt to taste. I set on the lid and let it simmer on low for 30 minutes. Before serving add the bacon pieces. For my vegetarian friends, skip this part! 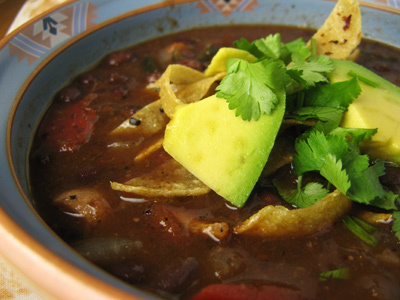 Ladle your soup into a bowl and top with anything you like such as crispy corn tortilla strips, avocado, cilantro, sour cream or cheese. Thick, rich and full of flavor! Heat a dutch oven over medium high heat. Pour reserved bacon grease and a drizzle of olive oil into the pot. 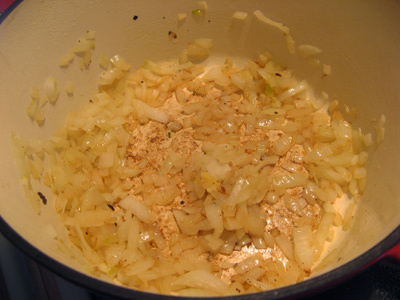 Saute the chopped onions until they become soft and translucent, stirring often. Add the garlic and cook one minute more. 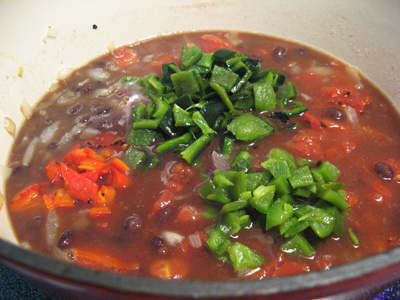 Stir in the black beans, tomatoes, chicken stock, roasted chile and spices. Set the lid on, turn the heat to low and simmer for 30 minutes. 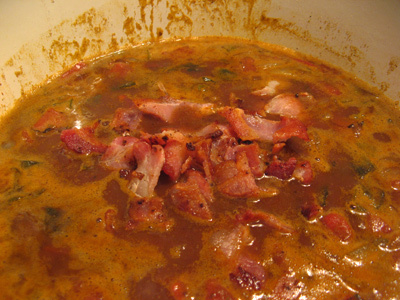 Add the bacon bits before serving. 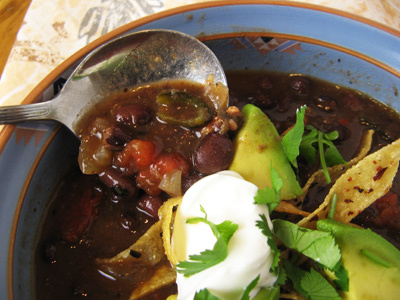 Ladle into bowls and top with crispy tortilla strips, avocado slices, cilantro, sour cream or cheese.